These Leather Handcrafted Books can be used as a cover for diaries, books or bible. Available in varied designs and finishing, these can be customized according to the preferences of our clients. We are known to be the reputed manufacturer, supplier and exporter of high quality range of Women's Leather Checkbook Covers. These Women's Leather Checkbook Covers are used for keeping cheque books of different banks and accounts together. These are designed from bets quality leather that is properly tanned in laboratory. 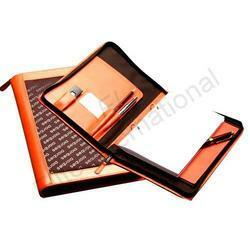 Our association is broadly known for maintaining the quality in offering Leather Book Cover. 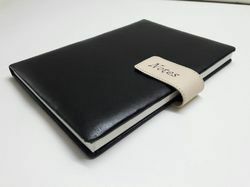 Our range of Embossed Leather Book Cover are available in various material and sizes. These are specially made to carry standard sized books and can also be customized to meet the requirements of the clients. Sovereign Leather Innovators Pvt. Ltd.